Carlson Paving Products announced its 2018 Dealer of the Year Award and Top 5 Dealer Awards at World of Asphalt 2019 in Indianapolis. Receiving the company's annual Dealer of the Year Award was Alta Equipment Company. "Alta consistently proves to be one of our strongest partners," said Chris Colwell, president of Carlson Paving Products, as he introduced this year's winners. "Their level of sales and support has ranked exceptionally high for many years, and we are proud to award them the Dealer of the Year again." Alta Equipment Company, based in Detroit, is the authorized distributor of Carlson commercial class pavers for the lower peninsula of Michigan. 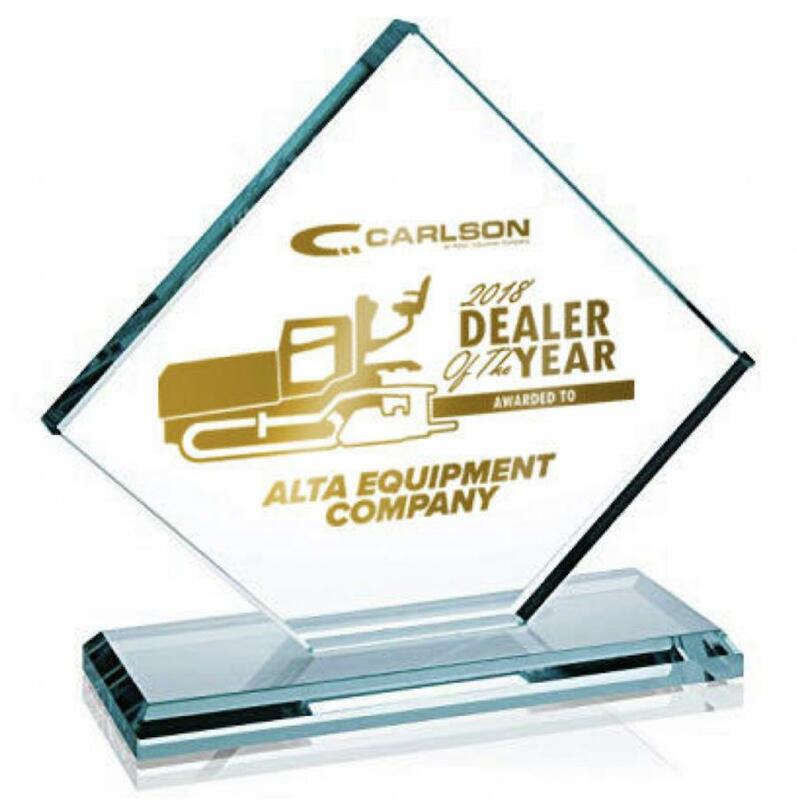 A recipient of Carlson's highest dealer award in 2015, Alta has also received Top 5 Dealer awards consistently since the awards were created in 2014. In addition to the naming of the Dealer of the Year, Colwell also recognized this year's recipients of the Top 5 Dealer Awards as Linder Industrial Machinery, Anderson Equipment, Modern Machinery, Herrmann Equipment and Edward Ehrbar Inc.
"Our dealers play a vital role in the growth and success of our commercial pavers across the country. We commend this select group with their high level of sales and service, and we look forward to even greater success in 2019," Colwell said.